Getting married in Thailand requires that you as a British national first obtain a Letter of Affirmation or Letter of freedom to marry while in Thailand. The process normally takes 2 days however this will depend on when you apply for the letter. If you applied on a Friday then you will only be able to obtain the letter the next week. This is important if you are travelling from outside of Bangkok to complete the process. You need to type out your letter and hand this in at the British Embassy in Bangkok. This letter then needs to be signed in front of a Consular Officer at the Embassy. Unlike the US Embassy the UK embassy operates without an appointment and it works on a first come first served bases during office hours. You will hand in the document and then collect it the following day. Note that if you hand it in on a Friday then you will only get the document back on the Monday. The Embassy fee is 3,315THB for the letter and this needs to be paid at the Embassy when you hand the document in. You can either speak to a lawyer in Bangkok to draft the letter for you or seek a copy from the British Embassy. You will need to have the originals of your divorce decree if you are divorced and also the original death certificate if you are widowed. The Embassy does not accept copies of these documents. Note that they will return the original documents to you the following day with your signed letter of affirmation. Note that if you have a prenuptial agreement then this has to be registered at the same time as your marriage at the District Office. You will have to speak to a lawyer in Thailand about the process and drafting of the prenuptial agreement. See also the requirements for the marriage registration process in Thailand and what is viewed as required by Thai law. Note that if you have a child with your fiancée or other women in Thailand then you need to consider legitimation of the child. 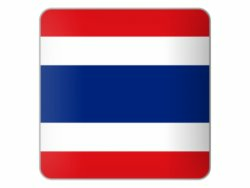 If you are considering taking your wife back to the UK then you can also arrange a UK Spouse Visa while in Thailand or a Thai marriage visa if you are considering staying in Thailand with your wife. 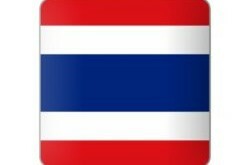 Speak to a lawyer in Bangkok today for sound advice and guidance.